Burning up in Barnetby? You need an AquaPoint Water Cooler. For shops, for offices, for warehouses, for the gym, for the studio, AquaPoint coolers are the perfect solution to a thirsty problem. AquaPoint offer a range of products specific to your business. We happily come out, install a new water cooler and continue to maintain it, as long as you are drinking fresh cool water. 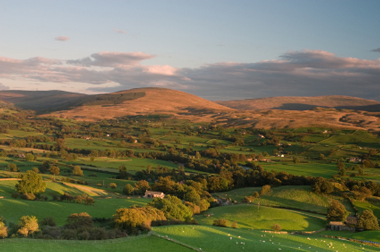 We know a lot about water, especially our AquaPoint Water, which comes from a natural source, found in North Yorkshire. We also know the local area very well, and our drivers always have everything on board, so if you have an H2O situation, you can call them and they will be over in a jiffy with everything you need. Having a water cooler in your place of work or business is a great solution for keeping thirst at bay, it’s much more cost efficient then popping out for a soft drink or a coffee, and because its chilled and tastes great, people will come back for more. The health benefits are increased, people tend to drink more water if it’s available and cooled. AquaPoint is the leading supplier of fresh cooled water and coolers in the Yorkshire and Northern England area. Our delivery drivers carry coolers, bottles and accessories all over the area, so if you need them urgently, that’s not a problem. They are happy tosupply you with fresh, chilled, great tasting natural water. We keep Barnetby and nearby Hull, Doncaster and York refreshed and productive.